Structural steel fabricators are most popular in the industry of construction. Steel is one of the most popular and preferred structural material being used in construction these days. 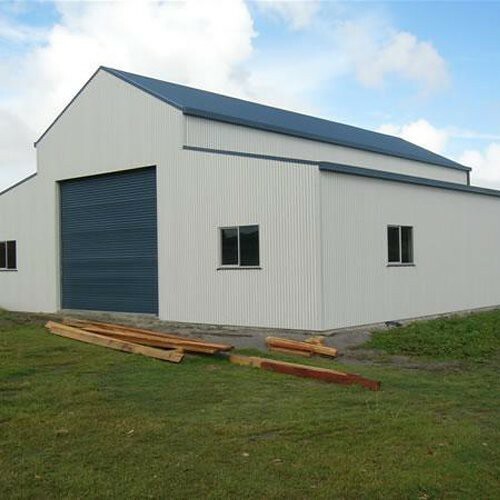 If you want to get the best steel structures for your construction project you can contact steel building contractors near you to get their best services or information about steel structures. Steel structures are widely being used in the construction because of its numerous benefits. Why use steel structure building in your construction project? Steel is a most durable metal. It can bear a considerable amount of pressure. Steel structures can make your building earthquake resistant as compared to concrete structures. The reason is that concrete structures are inelastic. Capacity to carry the load of the steel structure is greater than the structural concrete. The weight of steel structures is lesser than the concrete structure. Steel structures can make the process of construction faster because steel structures are easy to erect. Steel structures are versatile than concrete structures. It is owing to the reason that they can be assembled easily and you can replace the steel structure easily. You can modify the steel structure even in the last minutes too if required. The most important benefit of the steel structure is that they are eco-friendly and you can recycle them whenever you want to. This can help you in saving your money that you have to spend on waste management. To transport a steel structure is the easiest thing to do. Use of steel structure in construction is a safe option because there are no health hazards associated with it. Now the question that can arise in your mind is from where you can get the best steel structures. So, the answer is you should contact steel fabricators and consult with them. Why should I work with steel fabricators? They are experienced in this field. Experience in any field can be the best thing. Because if you have experienced a field practically, it means you have more capabilities to recognize the things. Similarly, if you are going to contact a steel fabricator, he will give you advises related to your project according to the best experience that they had. Steel fabricators are certified and authorized persons that can help you in making your project more durable. And the structures you will get from them will be stronger and well designed. To work with a professional can help you in knowing the best and bad things that you should work on. Professional can guide you in a much better way than any other. With the help of a professional, you can improve your design too. You can get help from steel construction materials suppliers to get the timely supply of steel structures. Steel is being used in the construction of large structures too, for example, industrial buildings and bridges, etc. steel structure can help you to complete advanced construction projects too.